Speaking to the people of Shoureh Village in Ilam Province on Saturday, Dr Hassan Rouhani said, “I assure people in the areas hit by the floods that the government is alongside them”. He added, “Fortunately, we did not have any loss of lives in this region thanks to the local officials for their timely informing of people to evacuate their houses”. Stating that housing reconstruction plans must be developed based on the reoccurrence of floods, the President said, “The Red Crescent, EMS, executive officials, IRGC, Army, Basij, and Police did a great job in dealing with the recent floods in the country”. Speaking on Saturday at the coordination meeting of Disaster Management Taskforce of Lorestan Province, Dr Hassan Rouhani said, “The fact that we don’t have infectious diseases in areas that are hit by the floods is remarkable for the World Health Organisation”. 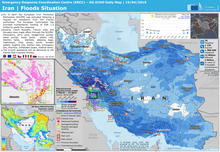 TEHRAN, 20 April 2019 (IRCS) – The United Nations (UN) has sent a relief consignment through the Department for International Development (DFID) of the United Kingdom to the families affected by recent flooding in Iran. The shipment arrived in Tehran’s Imam Khomeini international airport late on 19 April, weighs roughly 13,000 kg, and includes blanket (52 bales), tent (17 pallets) and Kitchen set (4 pallets). The humanitarian consignment has been provided by the government of the United Kingdom’s funding and was loaded from the World Food Program (WFP) warehouse in Dubai, UAE. The items included mineral water, food and health care items. Also, tens of road construction vehicles started operation to strengthen flood walls in Abadan-Mahshahr road as well as Shadgan area and among them several vehicles were from Iraq. 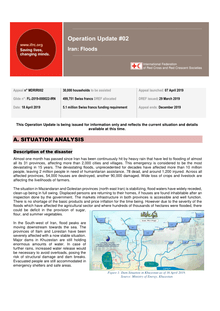 ABU DHABI, 17th April, 2019 (WAM) -- The Emirates Red Crescent, ERC, has sent a relief plane to Tehran carrying 95 tonnes of humanitarian aid to support those affected by the floods in Iran. Tehran, April 17, IRNA – Iranian Red Crescent Society said on Wednesday that it delivered Italy's humanitarian aid to blood-affected people across the country. The aid includes electric generators, tents, lifeboats, hygiene kits, flaks, water tanks, lamp, sheets, blankets, trauma kits and medical equipment. Two million Iranians have been affected by intense rain and flash floods along with landslides and rivers burst their banks, claimed the lives of scores of people and displaced hundreds of thousand. Tehran, April 17, IRNA – Iran's President Hassan Rouhani on Wednesday announced the official start of reconstruction operation of flood-hit regions under the supervision of the country's Interior Ministery. Flash floods caused by unprecedented heavy rain across Iran claimed lives of at least 80 people and displaced thousands more. 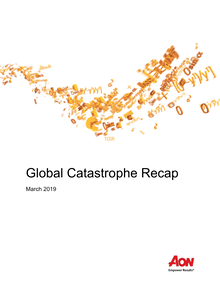 Due to the disaster, numerous buildings and infrastructures, including roads and bridges, both in rural and urban areas were destroyed or damaged. 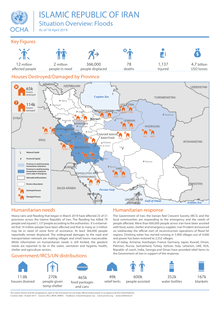 UNHCR, the UN Refugee Agency, is working with the Iranian government to assist ongoing efforts to support people affected by the recent unprecedented floods in the country. A plane carrying UNHCR aid items from the agency’s global stockpiles in Dubai landed last week in Tehran, while supplies from existing in-country stocks were handed over to authorities, fighting unseen flood levels. 12 million people have been affected by unprecedented floods, the worst disaster to hit the country in 15 years. 2 000 cities and towns are impacted across almost all 31 provinces. Two million people need humanitarian aid, including more than 500 000 that have been displaced. Another three million need health care. At least 78 people have been killed and more than 1 136 injured. The National Disaster Management Authority reports more than USD 1 billion in damage to agriculture, infrastructure and historical sites. 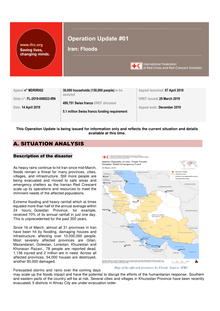 TEHRAN, 14 April 2019 (IRCS) – South Korean government has offered 200,000 US dollars to the International Federation of Red Cross and Red Crescent Societies (IFRC) to support Iranian’s flood-affected areas. 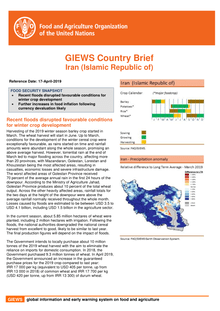 Tehran/Geneva, 15 April 2019 – An estimated 2 million people – one in every 40 people in Iran – need humanitarian assistance as a result of the massive floods that have swept across the country. Heavy rains and flash floods have affected more than 2,000 cities and towns across almost all of Iran’s 31 provinces, according to the Iranian Red Crescent. An estimated 10 million people have been affected in some way, including more than half a million have been displaced from their homes – some permanently. At least 78 people have been killed and more than 1,136 injured. As heavy rains continue to hit Iran since mid-March, floods remain a threat for many provinces, cities, villages, and infrastructure. Still more people are being evacuated and moved to safe areas and emergency shelters as the Iranian Red Crescent scale up its operations and resources to meet the imminent needs of the affected populations.